The summer of 2009 I was in Rome with scholarship of the Hungarian Academy of Rome. I wanted to make a personal memorial of the time spent in Rome and at the sea. 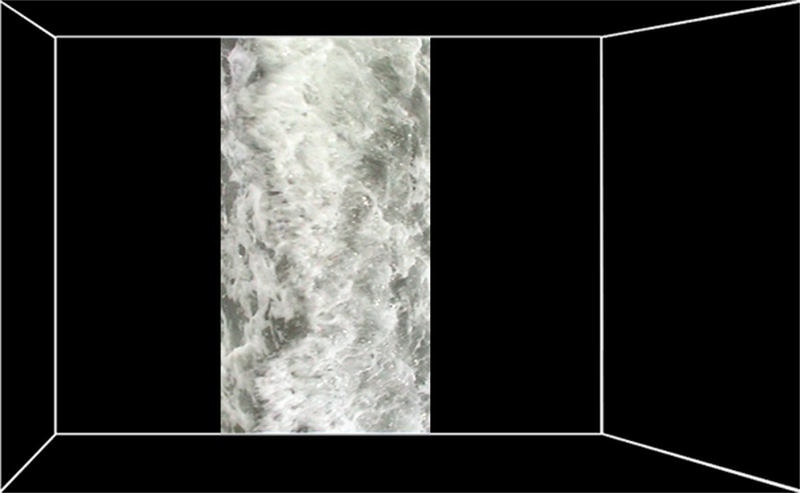 The work is a video loop, I caught a sea wave into a vertical image-column. 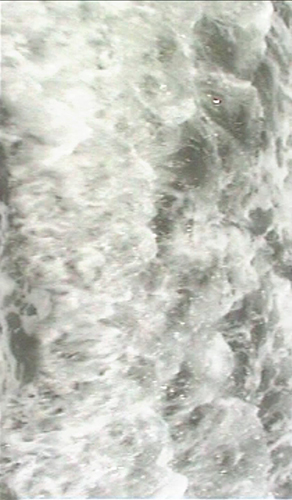 This wave when it reaches the frame it turns back, so I closed this time-interval into this footage. 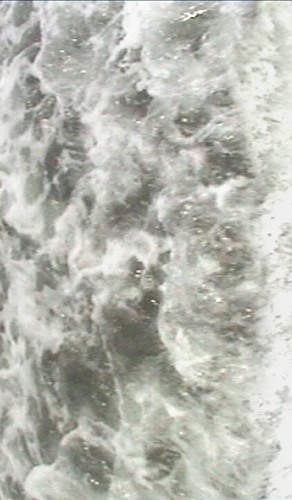 The wave stands vertically, the image is oblong. I install it into a dark room, the column fills the space from the floor to the ceiling so it continues endlessly above and below. For the the local people the sea is a constant experience: it was there, it will always be there. But for me it was a closed period of time, that was and could be again in the future, and the only way to keep it for me is some image or sound recording. To watch the video please go to: link to youtube.